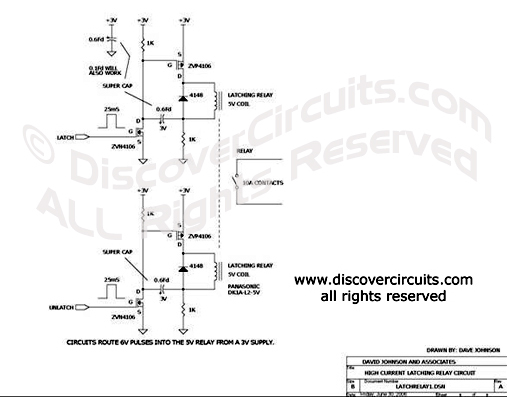 Circuit: Low Voltage Latching Relay Driver __ Circuit designed by David A. Johnson, P.E. Using some small super capacitors, this circuit can latch and unlatch a mechanical relay with 10 Amp contacts, from a small 3 volt power source. By using a latching relay, power can be controlled to a load with a tiny battery.